Randy and Sandy’s journey started off with discussions of starting a garden at the 15 acre homestead in the historic Town of Norway. Randy’s only request was to have a few grapevines. His idea grew into a 1 acre vineyard, with 600 vines in the ground! During the few years it took to gain approval from the Town and County, Sandy completed the Winemaking and Advanced Winemaking courses through VESTA in collaboration with Wisconsin’s NWTC. Her amateur winemaking skills earned several awards, including Best of Category in the 2015 Wisconsin State Fair competition. Spirits of Norway Vineyard applied for and obtained the Federal, State and Local permits along with label creation and approval. The fruits of our labor finally paid off with a record setting harvest in 2017, earning us: (4) Bronze, (2) Silver and (1) Gold Medal! 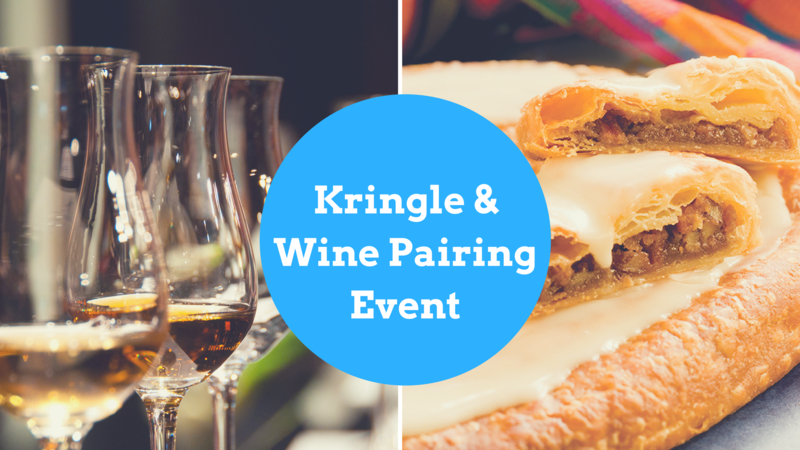 Hosted by the Real Racine, we invite you to a wine and kringle pairing at our Visitor's Center featuring locally made, hand crafted, award winning wines are sure to impress even the most distinguished of palates. Must be 21 and older for wine tasting.